Today, a capacity building meeting was held for TB affected community members and mass media representatives in the frame of TB REP project. The main objectives of the meeting was to give opportunity to patient organization members to build good collaboration with media. 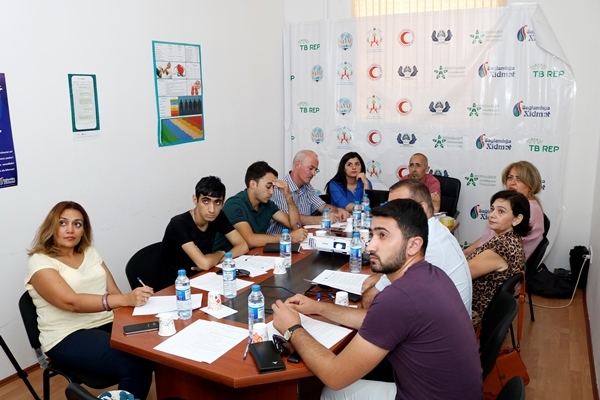 The meeting was attended by TB Azerbaijan Coalition members, TB doctor from penitentiary sector, a former TB patient and an XDR TB patient, who is on treatment and NGO TV representatives. During the meeting the presentations was made on TB REP project, UN HLM and TBAZC, the patients were listened and interviewed. It is really inspirational to listen to Amal Allhaverdiyev, who is TB champion and gives advice to other patients to adhere their treatment for rescuing of TB.